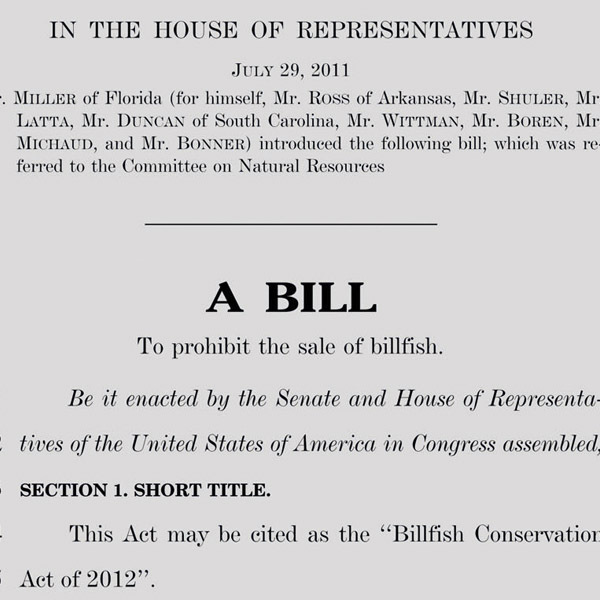 Signed into law by President Obama on October 5th, 2012, the Billfish Conservation Act (BCA) closed the U.S. mainland commercial market to foreign-caught Pacific billfish by prohibiting their importation. The law marked the culmination of a united undertaking by the IGFA, its partner Wild Oceans and a diverse coalition of angling and conservation organizations working in cooperation with a bipartisan group of congressional champions. Although there were no commercial fisheries targeting billfish in the U.S., the U.S. has been the largest importer of billfish in the world, importing about 30,000 billfish annually.